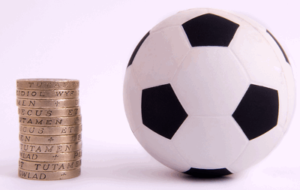 The Premier League is the worlds richest and most famous football league. Established in 1992 as a breakaway from the English Football Association the league has become the most commercially successful football brand on the planet, eclipsing even the World Cup. When direct and indirect sources are combined the amount of money generated by the Premier League goes into the hundreds of billions globally, more than the GDP of most countries, with players alone now paying well over £1 billion in tax to the UK government just from their wagers. The fact is whether you are all for modern commercial football or you see it has the worst side of the sport the fact remains that where there is money there are bookies, and when betting companies compete the punter gets greater value. Premier league markets are some of the most bet on lines around and betting sites run some of the lowest margins and best offers for these markets. We keep this page updated daily throughout the season with the best promotions open to all customers, which if you were going to place these types of wagers any way can, over time, help you enhance your returns or reduce loses. 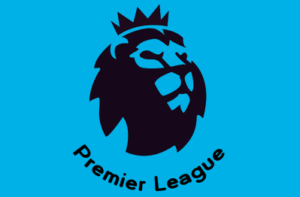 Further down you can find information on the Premier League history, stats, format and other details. £5 stake, £10 min deposit, promo code 888ODDS, normal odds winnings cash, enhanced in free tokens, valid for 7 days open to any markets. 90 Minutes only. Place a maximum £1 bet on Liverpool FC to win the 2018/19 English Premier League. If it wins, get the enhanced odds paid out as free bets; 7 day expiry. Cashed out bets excluded. Offer valid until 15:00BST on Sunday 12th May 2019. Credit or Debit card only, minimum £5 deposit. Geographical Restrictions. T&Cs Apply, See Below. 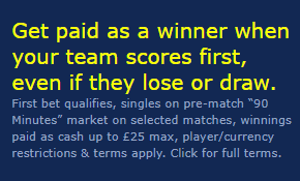 The new Golden Goal offer from William Hill pays customers (new and existing) out as a winner, in real cash up to £50, if you back a winner in the pre-match 90 minute market (online only, shop and phone bets do not qualify) and your team scores the first goal of the game but then goes on to draw or lose. No minimum or maximum stake or odds restrictions apply, only the £50 max payout should your bet lose, which will be paid by midday the day after the game. Games will be shown on LatestBettingOffers as soon as they are announced, the next qualifying fixture is Manchester United v Manchester City (20:00, Wednesday - Premier League). Player and currency restriction apply, you cannot cash out a bet but you can qualify for the offer using free bets (although token will not be given back with winnings). 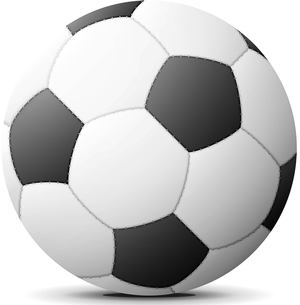 For more about this high value promotion read our Golden Goal page or visit Hill's below. Premier League, Championship, FA Cup, EFL Cup, Primera Liga, Serie A, Bundesliga, Champions League and Europa League. Bet restrictions and T&Cs apply. New and eligible customers only. If you bet £10 on any sports between Thursday and Saturday with 888 Sport, any sports, no min odds or market restrictions, you will qualify for the Premier League predictor game. This gives you the opportunity to guess the result (win, draw, win) in 8 Premier League games. You can qualify and enter right up to the kick-off time of the first game. 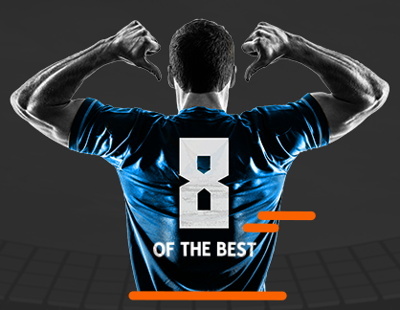 Should you get all eight predictions spot on you will win or share £5000 in free bets (7 day expiry, any sports, cash winnings stake not given back). If no one gets eight right answered rather than getting a consolation prize the person(s) with 7 correct answers will then receive the full £5k prize, and so on until the prize is allocated. Place a £10+ bet any bet at odds of 4/1+, can be pre-event or in-play, if your bet wins get a £5 free bet on top of winnings valid 7 days, can claim up to once each day. Opt in and place a pre-match bet up to £1000 on the match result in selected Premier League fixtures, if your team score in the first 5 minutes get paid out, in cash (within 24 hours), regardless of the full time result. Accumulator free bet, bonus and insurance offers for the Premier League are all available and compared on our Accumulator Offers page. Punters that bets at least weekly can add value by taking advantage of free bet clubs, loyalty points and free prediction cash games. These deals can often be taken in addition to offers listed on this page. 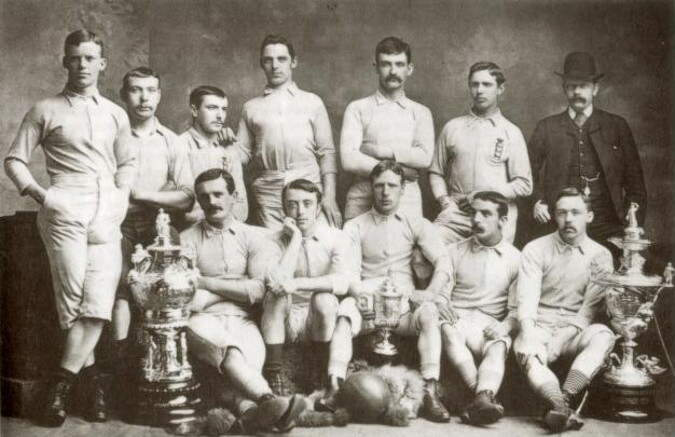 Few sports have the insane sense of rivalry and tribalism that football can muster, so it must genuinely sting supporters of clubs such as Birmingham City and West Bromwich Albion that the man considered to be the driving for behind the world’s first football league, William McGregor, was the director of their local rivals Aston Villa when he came up with the idea. When it was first formed it consisted of just twelve clubs from the Midlands and the North of England, with few people having any sense of the behemoth it would go on to become. Not only that, but the influence that that first ever division of football had on the rest of the world cannot be overstated. From the Bundesliga in Germany though to Major League Soccer in the US, football is now a genuine global force. Go on a trip to Kuala Lumpur and you’ll see the badge of Chelsea swinging from the mirror of a taxi. Head to a remote African village and you’ll see kids kicking a football whilst wearing a Liverpool top. Though there’s a good chunk of people who think that football was invented in 1992, the reality is that the Premier League has only become the behemoth that it is thanks to years of success of the division that were garnered before Sky Sports came along and poured money into the game. Despite the fact that the league is known and loved worldwide, not everyone is aware of the history of it, nor of how it came to in the first place. People may not know how the format has altered, why the trophy looks the way it does. Here we’ll look to change all of that. Since the reduction to a twenty team league, the format has remained essentially the same. All teams play each other twice over the course of the season, with one game at home and one away. Three points are awarded for a win, one for a draw and none for a loss. At the end of the campaign the participating teams are ranked according to the number of points that they won, with teams level on points split by their goal difference and goals scored. The bottom three teams are relegated down to what is now the Championship and used to be the First Division, with three teams promoted from the Championship to replace those that have left the league. Qualification for European competition has been an ever-moving feast. The number of teams that qualify for the Champions League has altered depending on the whims of UEFA, though since the 2009-2010 season it is the top four teams in the Premier League that get that honour. Since 2018 all four of them have qualified for the group stages immediately, unlike in the past when the fourth-placed team has had to play qualifying matches. There are three places in the Europa League available, which typically go to the teams that finish fifth, sixth and seventh depending on the winners of the FA Cup and League Cup domestic trophies. 1st – £38.4m, 2nd – £36.5m, 3rd – £34.6m, 4th – £32.6m, 5th – £30.7m, 6th – £28.8m, 7th – £26.9m, 8th – £25m, 9th – £23.1m, 10th – £21.1m, 11th – £19.2m, 12th – £17.3m, 13th – £15.4m, 14th – £13.4m, 15th – £11.5m, 16th – £9.6m, 17th – £7.7m, 18th – £5.8m, 19th – £3.8m, 20th – £1.9m. Interestingly, there are actually two trophies associated with the Premier League. The first is the genuine trophy that the official Champions of the season get to keep, whilst the second is a replica that is kept on standby in case the league goes down to the final day of the campaign and could be one by one of two clubs. If more than two clubs are in a position to win the title after the final match then additional replica trophies are borrowed from a team that has won the title on a previous occasion. Asprey of London was the jewellers tasked with creating the trophy, which is made from sterling silver and silver gilt. There’s also a rare stone called malachite that is used for the plinth that the trophy stands on. It has a green colour, intended to represent the colour of the football pitch. Another interesting fact about the trophy’s design is that it was based on the Three Lions that are representative of English football. 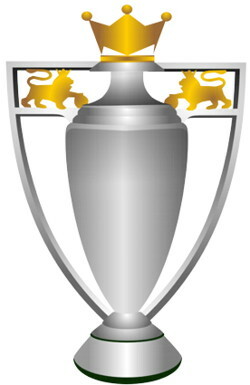 There’s a lion on either side of the trophy itself, with the winning captain being the ‘third lion’ when he lifts it. The plinth is actually heavier Thant the trophy, weighing in at fifteen kilograms compared to the trophy’s ten kilograms. When placed on top of the plinth, the entire thing stands at thirty inches in height, with a width of seventeen inches and a depth of just under ten inches. When a team wins the Premier League, their colours are attached to the trophy with ribbons. A special gold edition version of the Premier League trophy was commission in 2004 and presented to Arsenal when they won the title without losing a game. It’s simply impossible to talk about the Premier League without looking at how the First Division came to be, given that the current top-flight can trace its history back to 1888. That was the year that Accrington, Aston Villa, Blackburn Rovers, Bolton Wanderers, Burnley, Derby County, Everton, Notts County, Preston North End, Stoke, West Bromwich Albion and Wolverhampton Wanderers decided to get together to play against each other in a competition that came to be known as the Football League. 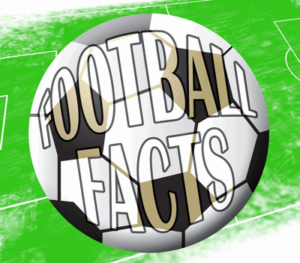 A rival organisation called the Football Alliance was set up in 1889, but in 1892 it was decided to incorporate the two together and the Football League became the First Division, with the rest of the teams going into a new league called the Second Division. The First Division was made up of twenty-two teams for the majority of its existence, though that fluctuated from time-to-time depending on the whims of those in charge of it. There were countless changes to the way that the league was run, thanks to rule changes such as three points being awarded for a win instead of two being introduced, plus the likes of matches being able to take place under floodlights and substitutions being allowed. Yet there was no change to the system as all-encompassing and ground-shifting as the decision from the biggest five teams in the league in 1990, namely Manchester United, Liverpool, Tottenham, Everton and Arsenal, to discuss the possibility of creating a breakaway division that would be separate and distinct from the rest of the Football League. Despite what we think of English football in the modern day, it hasn’t always been the shining beacon to the rest of Europe that it is now. During the 1980s in particular, the sport was beset with problems such as hooliganism, poor facilities and attendances that were lower than the likes of La Liga in Spain and Italy’s Serie A. In the wake of the Heysel disaster, English football clubs were banned from European competition and the sport in the country suffered as a consequence. Yet there was something taking place behind the scenes at a number of clubs that saw the tide begin to slowly shift. During the 1980s, personalities like David Dein at Arsenal and Martin Edwards at Manchester United began to see that the clubs they were responsible for could be so much more than just football teams for the local communities. They realised that business principles could be applied in the running of their clubs, commercialising aspects of the club in ways that hadn’t been done before. There were also talks to leave the First Division in order to set up a breakaway league as early as the mid-1980s, resulting in more of the new television and sponsorship money being given to the top teams. That might have kept the league together, but it resulting in increased power for the top teams that, in turn, allowed them to increase the money made through commercialisation of their clubs. 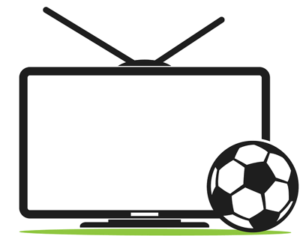 That increased sense of commercialisation and ability to make money from television drove those top five clubs mentioned before to have a meeting with Greg Dyke, the Managing Director of London Weekend Television. He felt that showing the biggest clubs on his channel would increase the number of viewers and the ‘Big Five’ were ready to agree. One of the major sticking points was whether or not The Football Association would sanction the new league, with the thought being that if they didn’t then it wouldn’t have any real credibility. Thankfully for the clubs involved, the FA and the Football League were at loggerheads over numerous issues at the time and felt that giving their backing to the new division would weaken the Football League. On the seventeenth of July 1991, the clubs in the top-flight in England signed the Founder Members Agreement that established the principles that would form the basis for the new Premier League. It would be commercially independent from the FA and Football League, which would allow the new division to negotiate its own sponsorship agreements and broadcast deals. One of the key moments in the entire formation of the new top-flight came about when the negotiation of the television rights occurred. Having been a key part of the process from the beginning, Greg Dyke felt that ITV would be in the prime spot to win the tender, but instead they were outbid by BSkyB who placed a bid of £304 million. 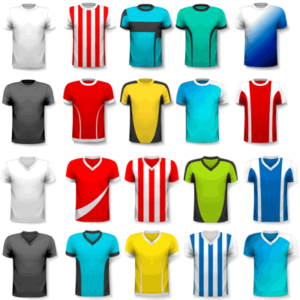 Arsenal, Aston Villa, Blackburn Rovers, Chelsea, Coventry City, Crystal Palace, Everton, Ipswich Town, Leeds United, Liverpool, Manchester City, Manchester United, Middlesbrough, Norwich City, Nottingham Forest, Oldham Athletic, Queens Park Rangers, Sheffield United, Sheffield Wednesday, Southampton, Tottenham Hotspur, Wimbledon. Even the most tribal of supporters had to have a degree of sympathy for Luton Town, Notts County and West Ham United, who were the three teams that dropped out of the top-flight just before it broke away to form the Premier League and therefore missed out on the associated riches in the league’s formative years. The International Federation of Association Football, better known as FIFA, is the organisation responsible for the international football. Not long after the Premier League was formed, FIFA announced that it wanted domestic leagues to reduce the amount of football being played in order to increase the quality of international tournaments. As a result, the English top-flight relegated four teams down to the First Division and only allowed two to be promoted at the conclusion of the 1994-1995 season. It wasn’t such a major change to the way the top-flight was run, given that the expansion to twenty-two teams had only occurred in 1991. Eleven years later, FIFA once again decided that the top divisions around Europe were playing too much football and instructed them al to reduce further to just eighteen teams. They wanted the changes to occur ahead of the 2007-2008 season but the Premier League resisted. Other countries followed suit and when the 2007-2008 campaign got underway the English, Italian and Spanish top-flights all maintained the twenty teams that were a part of it. Another change came in 2007 when the title of the division changed from the FA Premier League to simply the Premier League. The FA remained a special shareholder, giving it the right to veto new rules that will be adopted by the division. The Premier League has also enjoyed its share of controversies over the years. 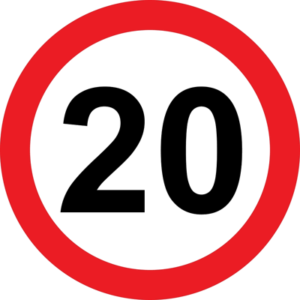 In 2003, for example, Manchester United defender Rio Ferdinand was banned for right months and fined £50,000 after he failed to take a drugs test when requested to do so. His Manchester United teammate Ryan Giggs isn’t innocent either, having taken out a super injunction in 2012 to stop it being revealed that he’d had an affair with a contestant on the TV show Big Brother. He also had an affair with his bother’s wife. Liverpool player Luis Suarez and Chelsea defender John Terry were both caught up in accusations of racism in 2011 and 2012 respectively, being handed bans by the FA as a result. They were as nothing compared to the ban handed to Eric Cantona in 1995. 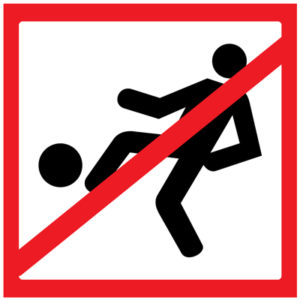 The Frenchman did a Kung-Fu kick on a Crystal Palace supporter and was handed a nine-month ban as a result. He also had a two week prison sentence reduced on appeal, ultimately doing one hundred and twenty hours of community service. In the same year, the Everton striker Duncan Ferguson was jailed for three months for committing assault against a rival player during a match. Of all of the controversies that Premier League teams have endured, none had the potential to have long-lasting consequences as the accusations of match fixing that came about in 2012. A former Southampton player admitted having worked with his teammates to ensure certain aspects of football matches went the way that they required in order to win bets on markets such as the number of throw-ins. They also colluded with opposition players in order to make a ‘fair bit of money’, though in the end no further revelations came out and the reputation of the Premier League survived.